Google Category - Google has its own detailed taxonomy (or) classification of products. Input the category to which all your products belong to. For list of categories provided by Google, refer this link. CSV file Name -Name of CSV file used to upload in merchant center. Make sure the file name does not contain any spaces (use underscores or hyphen symbol instead of space). There are a list of fields to be uploaded to google merchant center feed. 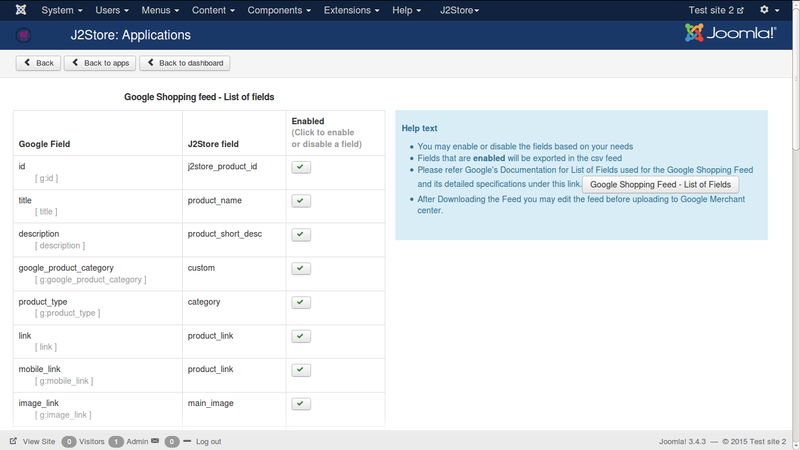 You may enable or disable the fields in this section. The fields in Enabled state are considered during Feed generation. Please refer Google's Documentation for List of Fields used for the Google Shopping Feed and their detailed specifications. Below is a list of fields that are supported by the app. image_link                      Link of the main image. additional_image_link           Link of the thumbnail image. Click on the Download Feed button to download the feed. 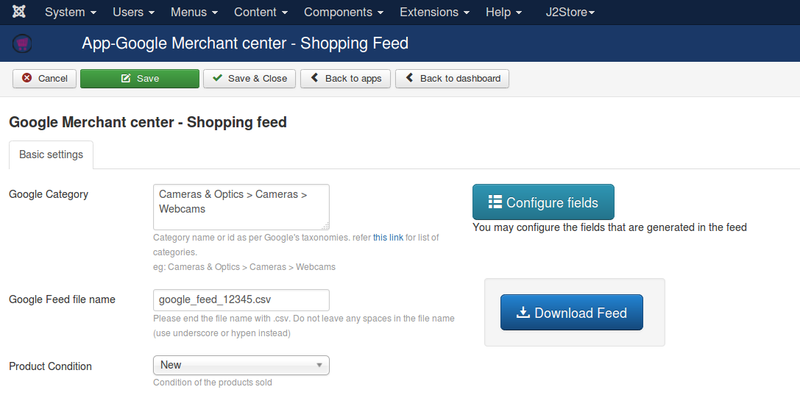 Verify the fields and upload the feed to the merchant center for publishing your products to Google Shopping service.